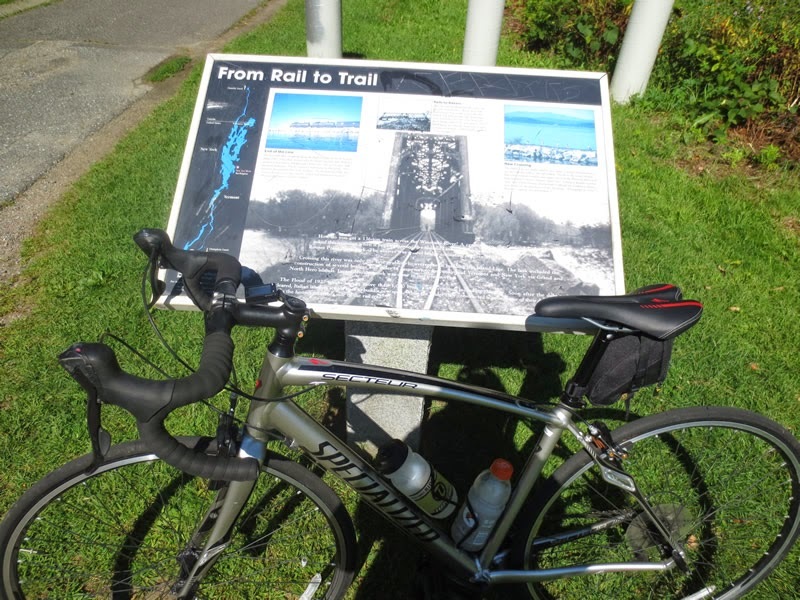 This is an amazing rail trail! 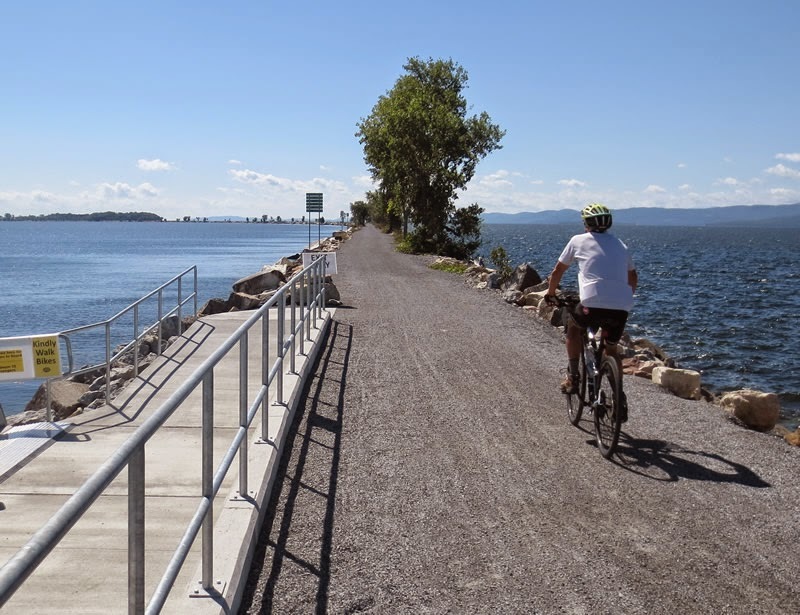 Skirting the shore of Lake Champlain, it finishes on a spectacular causeway that goes right across the lake. The views across the lake of the Adirondacks are wonderful. 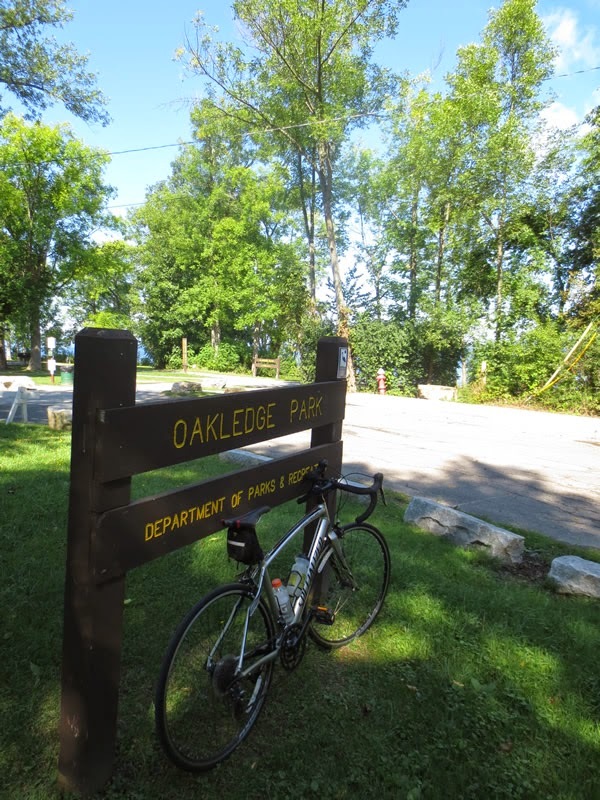 I started at Oakledge Park trailhead in South Burlington and rode the full 14 miles (one way). The weather was perfect as a severe thunderstorm during the night before cleared away much of the oppressive humidity. 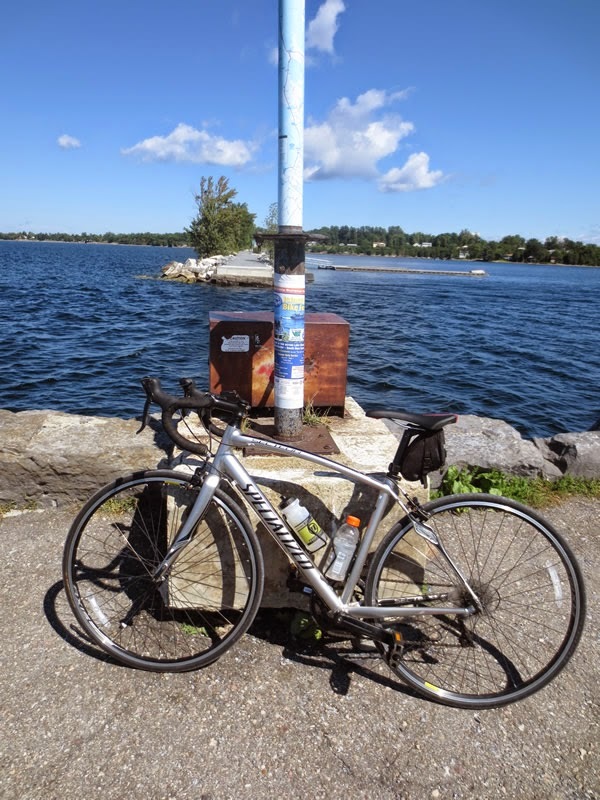 There is a ferry here that operates on the weekends to allow bikers to continue on to the islands. The map was on the wall that led to the ferry. 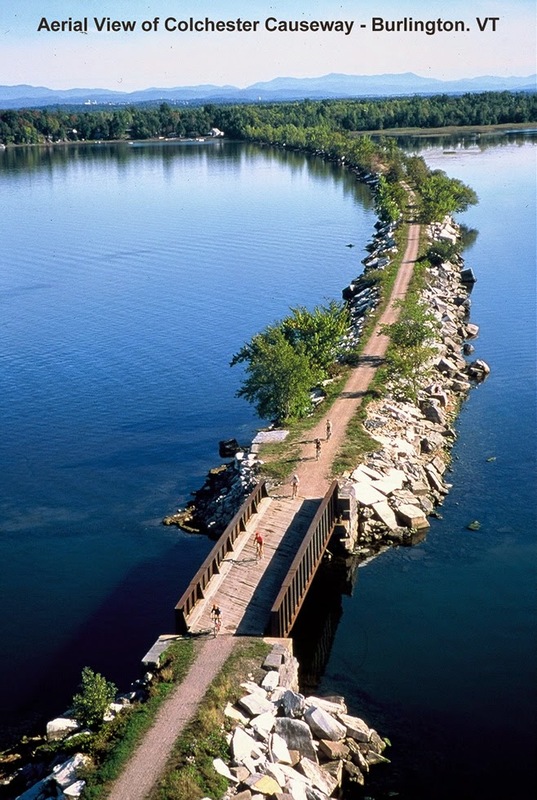 Built in 1899, Rutland Railroad’s Island Line finally provided a direct connection from southern New England to Lake Ontario. 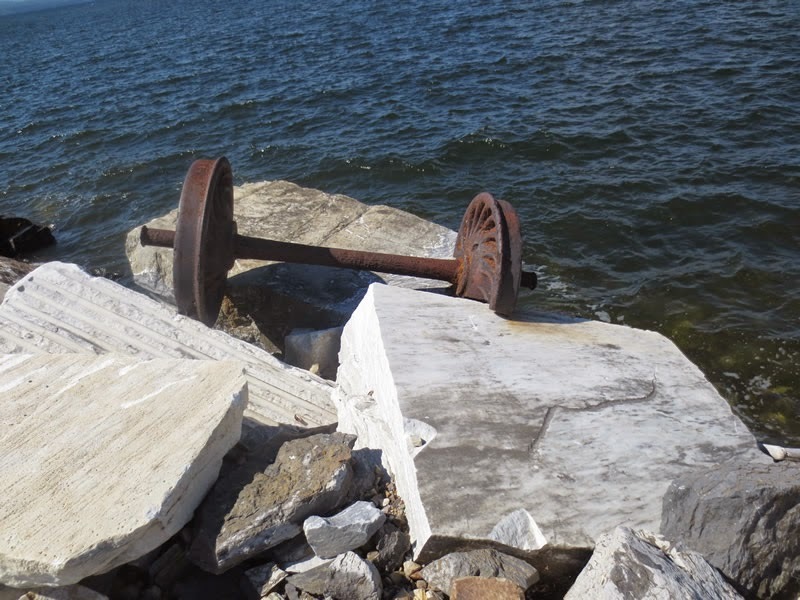 Two breaks in the causeway were spanned by a fixed iron trestle and a swing bridge that could be opened to allow boats to pass. It was a very expensive stretch of track to build. 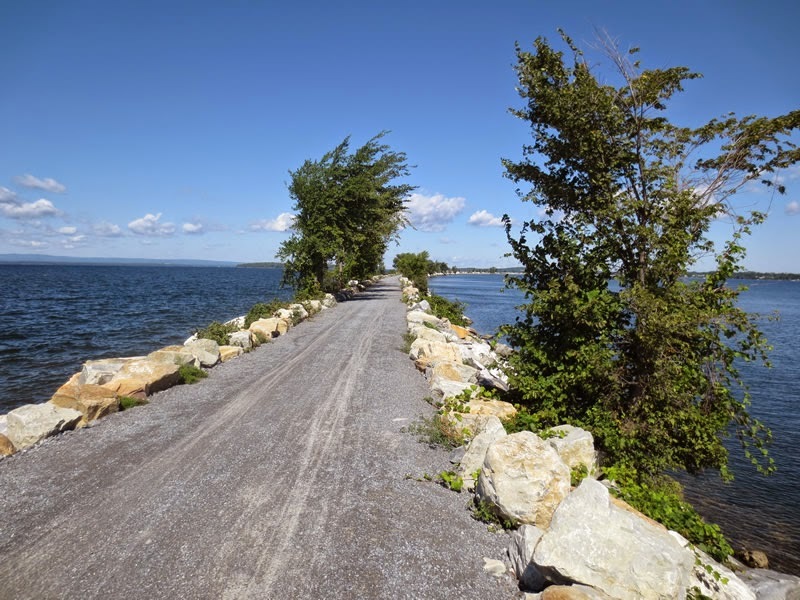 The three and a quarter mile marble-block causeway from Colchester Point to Allen's Point at South Hero alone cost the Rutland in the vicinity of $1 million.